The Residents to Ariel Pink. 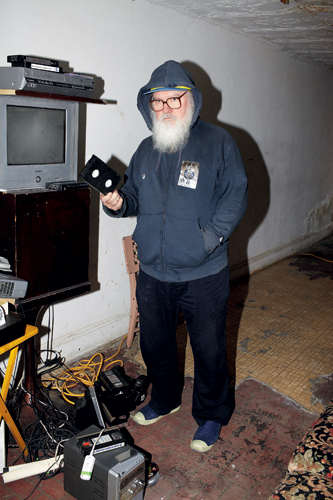 R. Stevie Moore is one of America’s truly iconoclastic modern musicians. Moore might not have been the first rock musician to go entirely solo, recording every part from drums to guitar, but his earliest works were at least contemporaneous with other one-man band works like Alexander ‘Skip’ Spence’s Oar (1968), Paul McCartney’s McCartney (1970), Todd Rundgren’s Something/Anything? (1972) and Roy Wood’s Boulders (1973). However, he was the first to explicitly aestheticize the home recording process itself. Questioning the culture industry’s validation of high fidelity, Moore’s recordings celebrated the unburnished, the intimate, the vulnerable and the deranged, making him the great-grandfather of lo-fi. His echoes can be heard in the music of artists like Pavement, Smog, Guided By Voices and Beck, and through his disciple Ariel Pink, he has unwittingly provided the template for the entire movement currently known as Hypnagogic Pop. However, Moore’s vast body of work can’t be reduced to mere formal invention. Over an untold number of LPs, in the language of power pop and AM rock, he has crafted an extraordinary quantity of luminous songs. In the same way Scott Walker’s songbook revealed vertiginous depths in cabaret and lounge balladry, they express emotions unfathomed elsewhere in their respective genres. Moore has also turned out a range of generic excursions that would surprise the most adventurous listeners. This raw energy is what keeps him, now in his sixties, as busy as ever. He starts a European tour this summer, following an LP collaboration with Ariel Pink. Just when life couldn’t be better, in a typical act of self-sabotage, he carelessly titled the album Ku Klux Glam. Clearly, without Palmer’s nurturing presence, Moore might never have escaped his own background, let alone set off to make a new life in New York. “I often don’t talk about him enough,” he now admits, “about how important he was to keeping me on track. He, too, was extremely frustrated with my bad luck in getting people interested and getting acknowledged, but the fact that he had to deal with crazy old me. Not that I have this horrible abusive personality or anything, or was difficult to deal with, but just the fact that I was so set in my ways of being stubborn. Recorded in 1959, the song slept for a decade before becoming a Top 20 hit in the UK. “It’s alarming in its irony,” remarks Moore, “but I never really thought about it much. I’m used to the fact that I never had my father as a support when I needed him more than ever. Because he was wrapped up professionally. Yeah, and because he had issues too. He was a terrible father.” The course of his musical life can be viewed as a mirror image of his father’s. Any other son in such a position, especially one so naturally gifted, might have been expected to follow in his father’s footsteps. Indeed, he did spend some time doing session work, but was completely indifferent to it. He would race home after each date and plug in to his reel-to-reel tape recorder – the future grandfather of DIY home recording’s first set-up? In this torrent of releases, he casually splices the divine with the diabolic. Phonography, for instance, features both the moving ragtime stride of “Goodbye Piano” and a diatribe, “Explanation Of Artist”, delivered over the sound of him urinating. However, when it comes to his would-be editors, it is clear which strand of Moore’s work is preferred. Many of his most critically successful releases have been compilations centred on his exquisitely arranged, lavishly melodic, guitar based compositions. Phonography (1976), Delicate Tension (1978), What’s The Point?!! 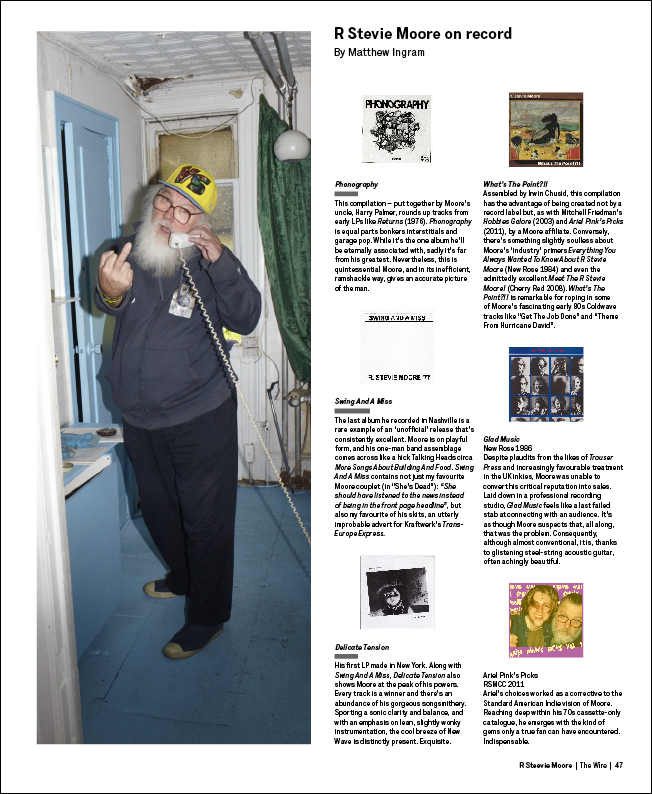 (1984), Greatesttits (1990), Hobbies Galore (2003) and Ariel Pink’s Picks (2011) are all compilations of peak period Moore: his purple patch of 1970s and 80s material, dominated by his twisted vision of classic AM rock. One of the abiding mysteries surrounding him is how he managed to fall into the freaky enclave in which he resides. Like the apochryphal Chillwave artist whose music sounds like Hall & Oates recorded on a Tascam Portastudio, Moore’s songs – check tracks like “Part Of The Problem”, “Cool Daddio”, “Colliding Circles” – often contain a glaring commercial kernel. Their loose, fresh quality appeals to the fans of the ramshackle ‘underground’ recordings of Meat Puppets or Big Star, but Moore’s material also has the kind of ‘finished’ quality that The Beach Boys were regularly sending into the charts. So why has Moore found himself feted by such uncompromising iconoclasts as The Residents, Chris Cutler and Ariel Pink? Why is he in the ‘weird’ camp at all? “Me and [Moore affiliate] Irwin Chusid always had the dilemma that he did not want to present me as an outsider,” he says, “like a Wesley Willis or a Daniel Johnston, or these people that are touched in the head and have a certain gift. I love outsider music, but they don’t have the [particular] talent I had. I love these guys, but they have no concept as to how to write or arrange a Brian Wilson song. Yet as soon as you start to recast Moore as a subversive AM rocker, you remember his extensive catalogue of exploratory music – and you’re back at square one. 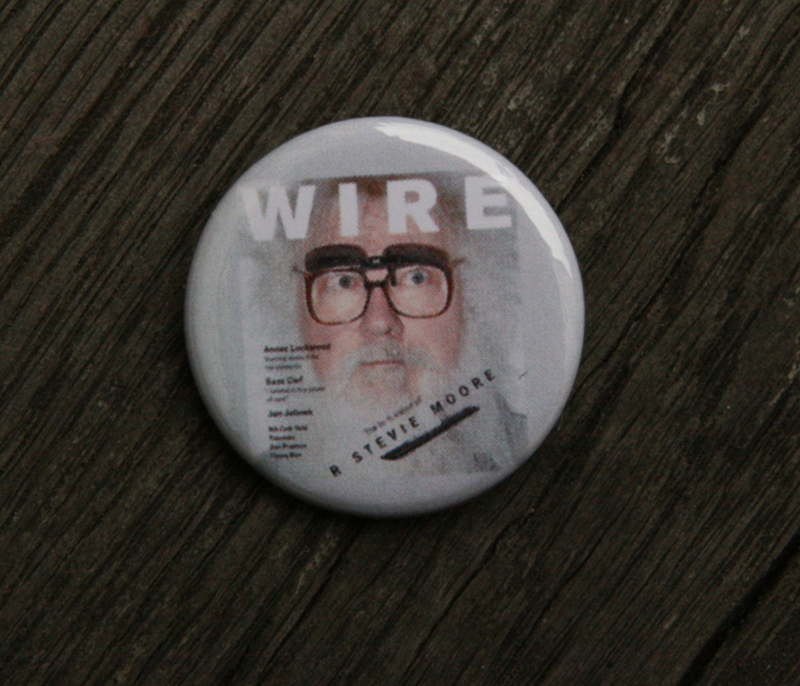 There are countless variations of R. Stevie Moore to choose from. Naturally, there’s the preponderance of his brand of Nashville concrete and experimental synth work, but much else besides. “Horizontal Hideaway”, from Games And Groceries (1978), is an immaculate slice of proto-rap, uncannily predating even the release of 1979’s “Rapper’s Delight”. The title track of Dumb Philosophy (1981) features a radio evangelist ranting over an astringent rhythm track which apes Byrne & Eno’s My Life In The Bush Of Ghosts; Column 88 (1981) is full of the influence of PiL and Killing Joke. On Musts (1983), Moore indulges in lounge jazz versions of his greatest hits, minimal synth skits, radio theatre and experiments in mobile recording. Come Persevere (1991), he’s toying with hiphop on “Oil”, glitch avant la letter on “Skip Digitals”, and even Techno on the memorable “I Got The Fax”. On Conscientious Objector (2004), we get drum ‘n’ bass on “Yung & Moore Show” and Metal on “Subjectivity”. Sometimes this variety can be grating. Moore uses the buzzword diversity to describe his magpie tendencies, but often one senses he’s reluctant to knuckle down and quit larking around. “Sometimes, either accidentally or on purpose, I have lost the talent to sit and arrange good, solid, brilliant pop,” he says. “Back then it came natural, without even thinking about it. All of those great favourites like “Part Of The Problem” and “Play Myself Some Music” – 70s and 80s stuff – I don’t discipline myself to sit down and think, I have to write myself some songs. I don’t like to do that much anymore; I’d rather sound-paint and mix and all the things besides, because I’ve done it for so long. But of course when I do write songs, it’s like heaven. That inspiration comes back out of my head. Into my fingers. And I start to play. I’ve always been like that. “My latest album, Advanced, is a pure power-pop songwriting studio record,” he continues. “My friend for all my life, Roger Ferguson, helped me put that together in his home studio. And he was, like, disciplined with me, which I loved but was kind of strange, and we both laughed about it. Because he knows me so well, that I needed to be reigned in every once in a while. He laughed about it but somehow I felt smothered, because it was like 12 or 14 tracks of song-song-song. Everything very straightforward.” It’s a shame, because on the evidence of the album, Moore does indeed feel constrained. Perhaps inevitably it lacks the magic of his earlier material. Though he refutes the notion point blank, you sense that without the usual supporting network of label, manager and group, Moore occasionally gets lost and ends up pandering to his weaknesses. For example, the material of his post-punk era, bookmarked by Clack! (1980) and Crises (1983), is strong and lovingly put together, but it’s difficult to reconcile his essentially ebullient persona with the alienated material. He started slipping back into the stream with “Time Stands Still”, from It’s What’s Happening Baby (1983), which was in tune with the stirrings of nascent 1960s revivalists REM and The Dream Syndicate. Inevitably, Moore has fielded a constant barrage of opinionated sniping over the years. 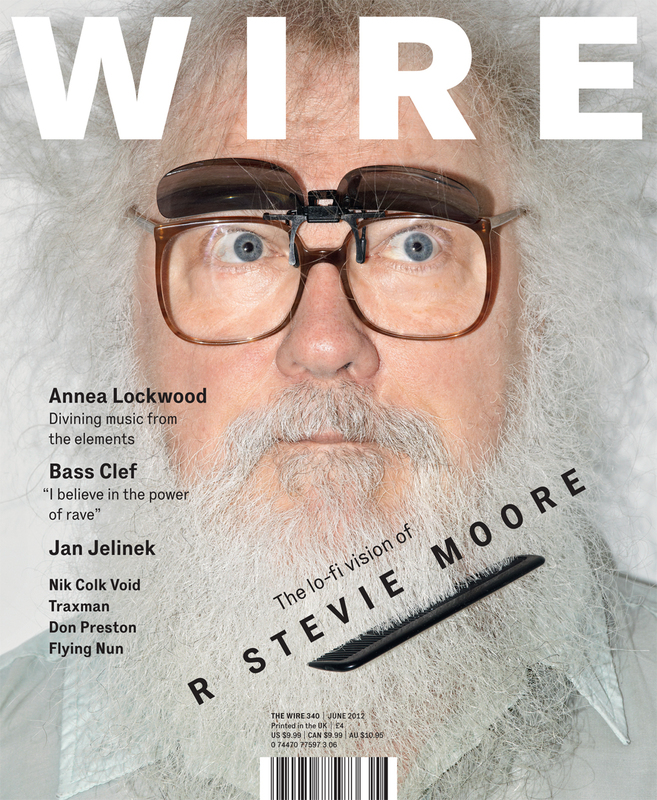 Everybody, it seems, wants to tell R Stevie Moore what to do with his life. For more than just creative reasons, not having a group was an issue for years. “That used to be a major, major drawback for me getting anybody’s attention,” he laments. “I didn’t sit in my bedroom recording because I thought it was going to be a popular hobby decades later when everyone didn’t need to go outside. I do have issues with being in public. Not agoraphobic, I’m not that bad; rather I have a fear of walking out in public. But I was never a big salesman and I was never big on hanging with buddies who made music together. I dabbled in it, but when I saw how great it was to just be home alone under headphones, I was just non-stop – I could not control myself. But back then, in Nashville, there were no places to play even if I had had a great glam rock sounding band. “Me and my best friend of that time – a huge influence on me – Victor Lovera, when we met in ’71, he had the songwriting and singing thing down great, he was very individualistic. When he met me, I was the thinker and the electric guy, but not much of a performer. I didn’t really write, I didn’t really sing very well, but we got together and heavily influenced each other. The big thing at the time was Hunky Dory and Ziggy Stardust and you gotta know that we were fantasizing about, ‘Man, if we could only get a bass player and a drummer’, and we dabbled in that, but it was pretty hopeless trying to do that in Nashville. There was no place to play and get everything together, so we could get the hell out of Nashville and start playing properly. Where? Atlanta? Everybody wants to go to Chicago, to Detroit, to New York. We were stuck. I was stuck here, and the only thing working for me was home recording. Back then, all I would have needed was a little video clip of me on stage and an audience going crazy, even if we had to rig it up and make a fake. I couldn’t just snap my finger and put a band together, because I was a one-man band too. But under that I did have my underlying laziness. I didn’t want to make that happen, because I knew it wouldn’t work in Nashville. Unconventional Tennesseans have often struggled with the almost oppressive weight of the tradition of the Grand Ole Opry, and I see Moore in kinship with local eccentrics like Mickey Newberry as well as Southerners who twisted the gutbucket mode of Country into new shapes: Willis Alan Ramsey, Mike Nesmith, Gene Clark and John Hartford. Now he freely namechecks Hank Williams and George Jones, but many years passed before Moore could appreciate his own musical legacy and the music of his father. Indeed, he says, it didn’t happen until he was firmly ensconced in New York. “I needed a new genre to get into with record collecting. I had every British 60s Invasion band, A to Z. I had everything. I had hard rock. I had experimental electronic music growing up. I loved all kinds of stuff. Comedy records and even bizarre sacred gospel records, but I didn’t go deep with Country. But then in the 80s a light bulb went off in my head, and I started hearing all these British import records of hillbilly music. I’m not talking standard Country, I had a lot of Country growing up with my Dad and major label stuff, but for me it was the twangy hillbilly stuff that was driving me nuts, so I had to collect it all. It’s interesting how record collecting can do that to you. Galore (2003), by a Moore affiliate. convert his critical reputation into sales. Standard American Indie version of Moore. gems only a true fan can have encountered.